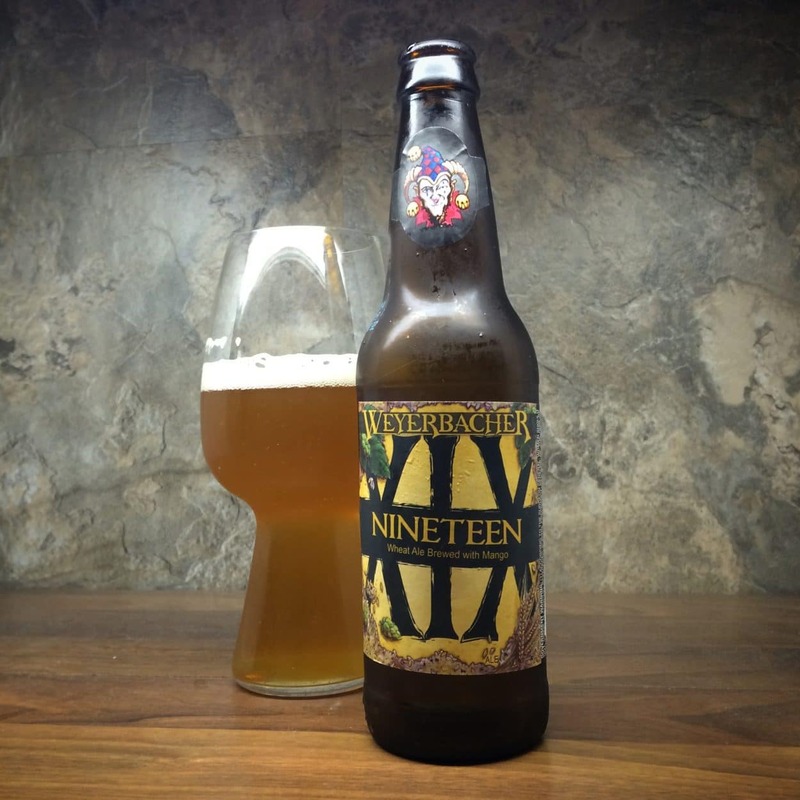 Nineteen by Weyerbacher Brewing Co.
Sours, my newest love. These beers are usually tart, made so with some kind of fruit. In this case, it is mango’s something I wouldn’t normally associate with beer, but it works. Nineteen pours a gorgeous pale orange color, with a pale white head. I get some fruit and tart/sour notes in the nose of this beer. It also has some “Belgian” smell to it slightly, a heavy pale malt smell to it. Wow, really wow. This beer is really good. I had to look up the ABV because it wasn’t on the bottle. 10%. Are you kidding me, this beer drinks like it could be 4-6%? Which is dangerous. Lots of tart fruit, nothing that specifically points to mango, but still a really well-balanced tart fruit flavor. Not overwhelming like some sours can be, but man this is easy to drink. I was hoping to get a bit more mango flavor, but like I said, I was getting a lot of a tart fruit flavor. So, I can’t be that disappointed. A really well balanced and easy to drink sour. Honestly, a really good entry-level beer for people to get into this unique style. It doesn’t abuse your tongue like some do. 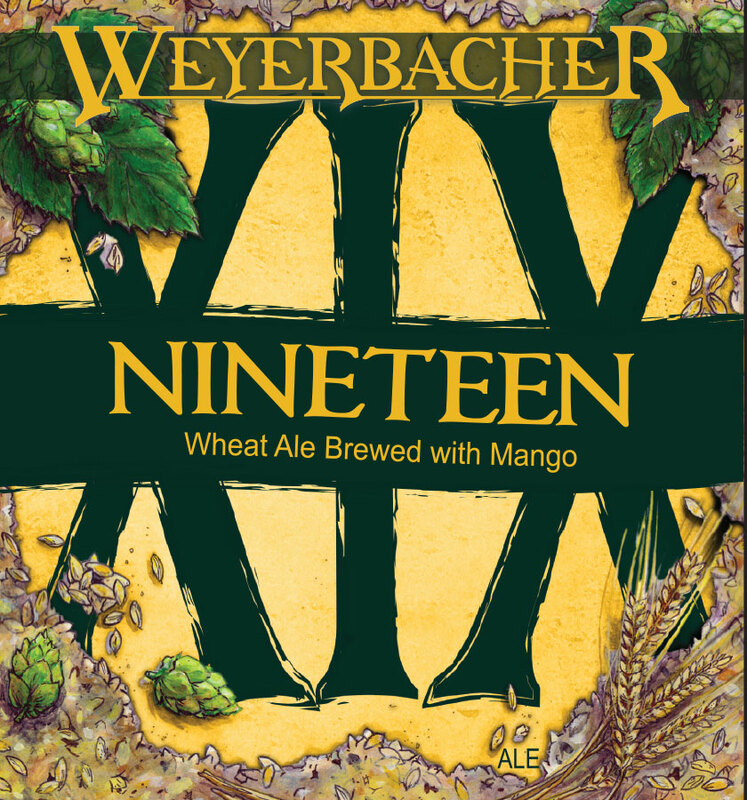 Brewed to the classic “Weyerbacher anniversary requirement” of a strength of 10% ABV or more, Nineteen fits the mold and brings a new dimension to the anniversary pedigree: tartness! Two brews were made: a high-ABV mango-infused wheat beer and a tart blending beer, both using pale and wheat malts and a blend of Belgian yeasts. The final blended beer features both tropical sweetness, as well as the tart citrusy character of a spontaneously fermented beer. Nineteen should cellar quite well. Cheers!